Celebrate the coming of spring, bird biology, and the craft of both art and beer with ‘Crafts + Drafts for ArtWeek’ at BareWolf Brewing during the opening reception of ‘The Changing Light,’ a solo exhibit of local artist Kate Houle. Ms. Houle sculpts New England bird species from clay and explores the relationship between art and nature. ArtWeek participants will create a bird mobile from repurposed materials to hang in their windows, to alert these tiny flyers to the presence of glass. Meet master brewer/founder Stevie Bareford and sisters Jenn and Kate Houle who host monthly Crafts + Drafts at BareWolf, with a seasonal craft event linked to the exhibiting gallery artist. Craft supplies are included in cost;beers/drafts are additional. Thursday, May 16 through Sunday, May 19 8AM - 5PM each day $1795 tuition ($1900 after May 1; registration closes May 11) Please call Lowell's Boat Shop to pay tuition to avoid processing fees. Lowell’s Boat Shop in Amesbury is pleased to collaborate with Grain Surfboards to offer a 4-day wooden surfboard building class at the Boat Shop. The class is perfect for those who want to make their own board but don't have the space or tools to get the job done right. No experience necessary. Students have their pick of over a dozen different models to build, and will start with a board that has the frame already glued to the bottom planks. Two Grain board builders will be available to guide students through the easy step-by-step process to ensure that each board becomes a beautiful one-of-a-kind surfboard that will last a lifetime. Together, we'll explore basic surfboard design concepts, the simple application of steam to manipulate wood into shapes, adhesive applications, elements of edge tool work and use of other traditional hand tools, glassing and effective use of epoxy. By the end of Day Four, you’ll have your own board, ready to glass. Fiberglass, hardware and resin are provided so that the board can be glassed at home, or left with us to be glassed and shipped later. Tuition costs include: All materials (sustainably grown cedar, zero VOC bio-epoxy, etc.) and selected pages of detailed instruction on glassing and finishing -- along with the glassing supplies. Use of shop tools and set up during the class (no need to bring your own tools). Eligibility to participate in Grain's "Build Your Own Quiver" incentive plan. We'll even throw in a delicious breakfast and lunch as part of the tuition! Students are responsible for their own dinner costs as well as accommodations; discounted rates are available to Lowell’s participants at Fairfield by Marriott. Have questions about MA agriculture? What actually happens in those greenhouses? How is produce grown, maintained and harvested? Maybe you are a little uncertain but hungry for more information... and that’s GREAT! Join Cider Hill Farm for a monthly behind-the-scenes tour as we dig into the inner workings of New England’s active and historic farming industry. Come learn. Tour Details Our knowledgeable farmers guide you through the immense abundance and variety that New England offers while you travel comfortably on our hayride vehicles. We’ll explore each section of the 145 acre farm for a deeper understanding of the growing process. There is so much to see. Please arrive early - check in with your farmer guide and be ready for an on time departure. Location & Departure Cider Hill Farm, 45 Fern Avenue, Amesbury, MA 01913 Meeting spot: Look for the “Farm Tour Here” sign outside the Farm Store. Parking: Free and lots of it! Departure times: Please arrive early, check in with your farmer guide and be ready for an on time departure. In the event of severe weather or other unforeseen circumstances, tours may be cancelled and your ticket will be refunded. You will be notified 24 hours in advance. Tours and property are ADA accessible. Pets prohibited per Health Department; service animals only. 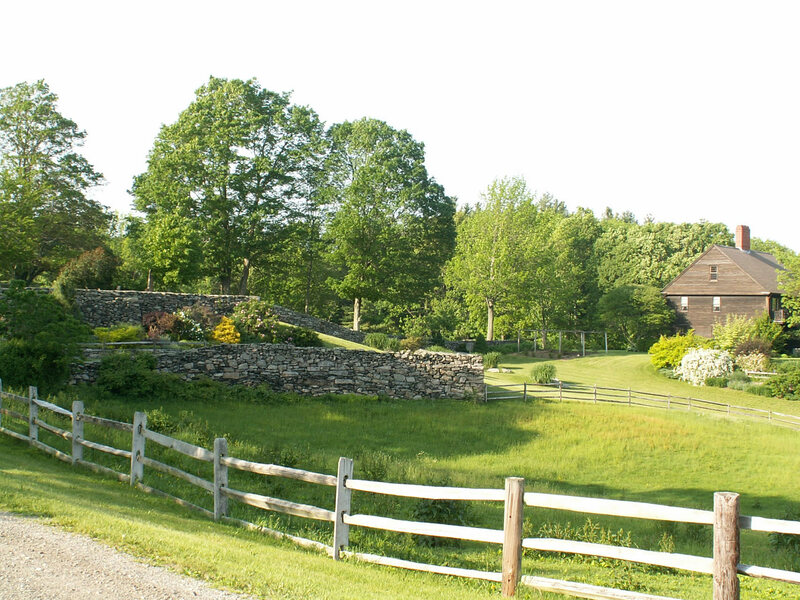 About Cider Hill Farm Nestled in scenic Amesbury, MA, Cider Hill Farm is a 145 acre, family farm tended and cared for with an old-fashioned work ethic combined with modern strategies that increase organic matter. Founded in 1978 by the Cook family, Cider Hill Farms is best known for a huge selection of pick-your-own crops starting mid June with strawberries, followed by raspberries, blueberries, peaches, plums, nectarines, pears and apples into the late fall. Our mission is to cultivate, nurture, and grow relationships; growing good food is simply a by-product of this mission and the calling of our dedicated farm family. Cider Hill Farm harvests their own energy. CSA, Cidery & Farm Store Cider Hill Farm Store, open daily 8 am - 6 pm May until the week before Christmas, offers classic, fan-favorite cider donuts from our scratch bakery along with our own fruit, vegetables, cider, honey, eggs, Cider Hill Cellars award-winning selection of hard cider and curated gift selection. To further support your local farmers, learn more about Cider Hill Farm Share. July 7-12: Seafaring and Sail Training for Teens This sail training voyage -- a collaboration between Lowell’s Boat Shop, Maritime Gloucester, Tall Ships Maine and Ocean Passages -- offers teens the adventure of a lifetime! We’ll spend a week aboard the schooner Harvey Gamage, working side-by-side with a professional crew to learn seamanship, sail handling, and leadership. Graham McKay of Lowell’s Boat Shop will Captain the vessel for our trip; Amanda Madeira of Gloucester Maritime will serve as co-Captain (both are fully USCG licensed and have decades of experience sailing tall ships and leading onboard educational programs). Weather permitting, the itinerary includes a day on Stellwagen bank watching whales and learning about the fisheries, and an overnight passage to the coast of Maine to explore some of the more remote islands before returning to Portland, Maine on Friday. The hands-on nature of this distinctive program encourages independence and a sense of achievement that increases levels of self-confidence and self-esteem. A week at sea offers the perfect opportunity for kids to unplug and truly engage with the world around them! **This program is academically accredited by Falmouth (Maine) High School. Participants receive a letter of elective credit which should be valid as a transfer credit on their high school transcript. Space is limited. Please call 978-834-0050 or email dorothy@lowellsboatshop.com if you have questions. Program Dates & Rates Board Sunday, July 7, 2019 at 4PM in Gloucester, MA Disembark Friday July 12, 2019 at 11AM in Portland, Maine Fee of $1,100 includes 3 meals per day, fuel, crew, docking fees, etc. Non-refundable deposit of $500 is due at registration; balance due May 1. A limited number of scholarships are available.